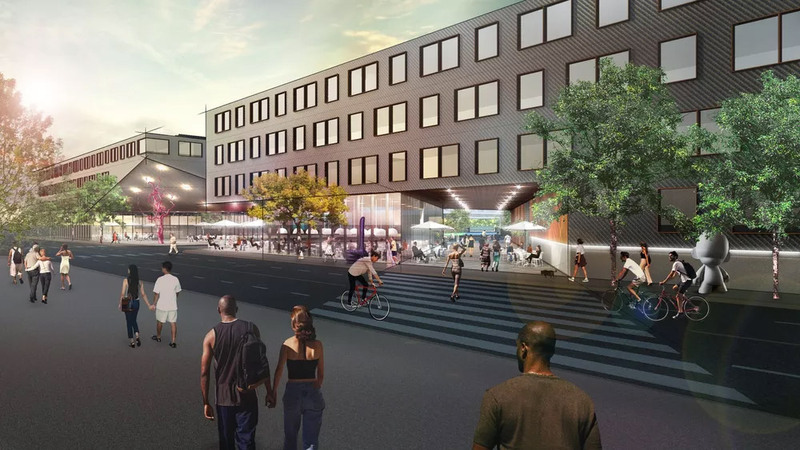 Developer Property Markets Group is proposing a major mixed-use development in Pilsen which will create more affordable housing than most other privately funded developments in the history of Chicago. The new plan, named ParkWorks, would see the creation of several new buildings which would deliver hundreds of new residences over a 7.85-acre site in the Pilsen neighborhood. "We are doing a lot of things that are a win-win for everyone involved and we hope that the new plan demonstrates our desire to be a good community partner," Gottlieb explains. "Our ability to be a good neighbor is not just about how much affordable housing we provide. We have a plan to create jobs and help families afford the cost of living." The proposal includes about 10,000 square feet of commercial space for retail users, which Gottlieb suggests could employ up to 100 people. To encourage retail tenants to hire locally, Gottlieb says that Property Markets Group will offer a discount of up to 20% on the cost of rent if business owners hire one-third or more of its staff from within the community. In addition, the developer will offer on-site hiring during the construction period of ParkWorks and will give area residents priority for full-time and part-time property management jobs. In terms of density, the ParkWorks plan as proposed will be less dense than surrounding blocks. The plan would also see that 50% of the 7.85-acre site is turned into open green space. The firm has produced a video in both English and Spanish which illustrates the proposal?s scale and design. "The idea is that the whole site feels like a park that happens to have some retail and residences plopped on it," Gottlieb tells us. The proposal has been master planned at a pedestrian scale and intersecting walkways would be created to allow for easy access to public transit hubs. There?s also a public art component planned, as Gottlieb indicates plans for a "living wall" installation along 18th Street and Peoria. Cordogan, Clark & Associates, a firm that is currently working with Property Markets Group on an upcoming development nearby in University Village, has been tapped to lead the design and planning duties for the proposed ParkWorks. But more than anything, Gottlieb says that he hopes that the latest plan sparks a new dialogue among Pilsen residents and community stakeholders. This new proposal, Gottleib says, "attacks the issue of displacement" by creating new affordable housing, new job opportunities, and by offering a sort of "rent control" for residents living in the existing housing on the site.